Ever see a great looking car on the road, the shine looks super, the car is very sharp and the paint is gleaming but what about those wheels? The average car owner does not know how to properly maintain the appearance of their wheels. 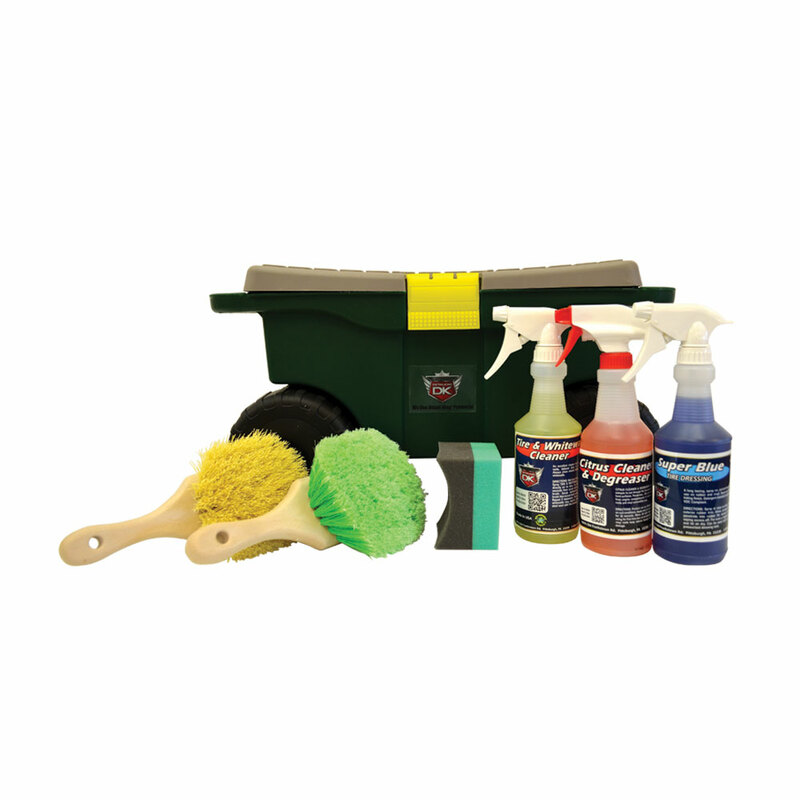 It all starts with cleaning them on a regular basis! 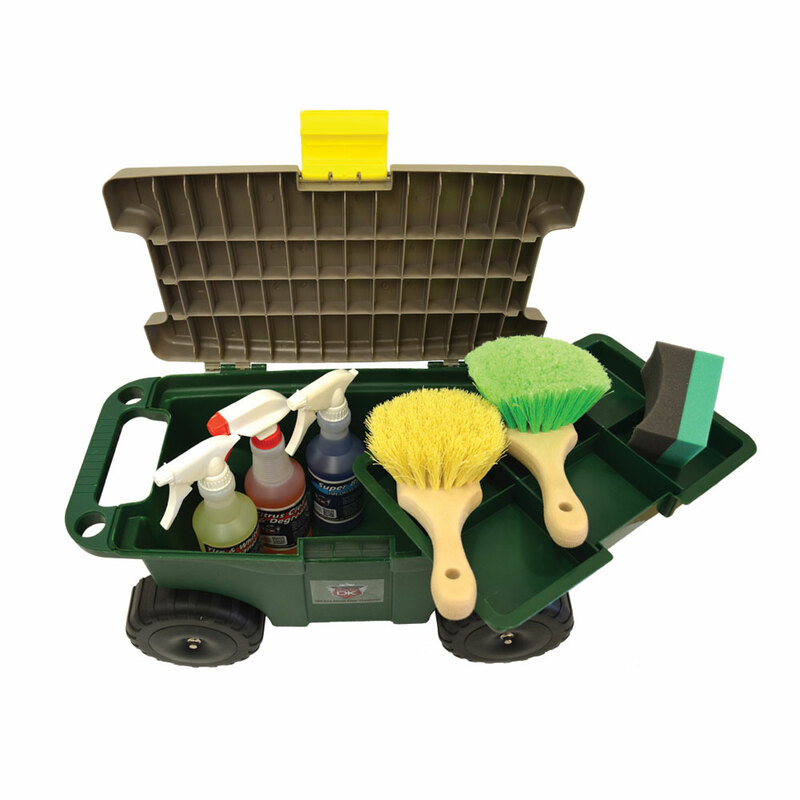 This kit will equip you with everything to clean your wheels and tires with, quickly and efficiently without damaging them. Additionally, this kit includes the DK Tire & Wheel Buddy. The wheel buddy will not only give you storage for products, but also doubles as a seat! • Tire & Wheel Buddy - can be used to store products and also doubles as a comfortable seat.